"Why is it so hard to stop surfing and just go to bed?" 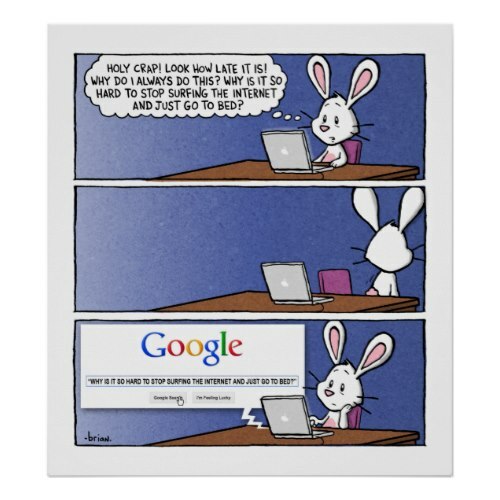 A funny, humorous cartoon poster for all of us who Google just about everything that comes to mind, spend inordinate amount of time browsing the net, and surf the net late through the night. The poster features Chuck - from the cartoon series Chuck & Beans by Brian Gordon - suffering from three maladies, namely internet, Google, and late night surfing. Great for son's room decor, decor of the dorm room, man cave, cafe and more. 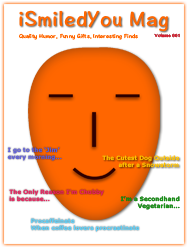 Add a touch of humor to your walls. Makes a fun gift for friends and family, especially the ones addicted to the net.